​The Cooks Standard 2 stage knife sharpener, diamond and ceramic wheel has a diamond wheel for coarse sharpening and ceramic wheel for fine sharpening knives. Coarse sharpening for recovering the edge and repairing seriously damaged knives. Fine sharpening for honing and brightening a knife's edge. 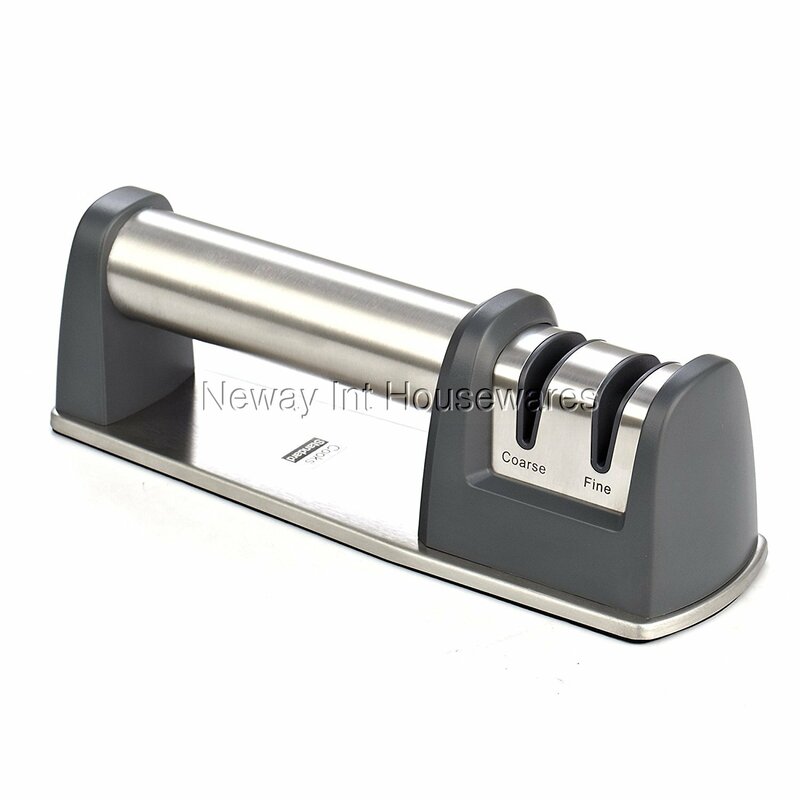 Easy to use by pushing knife downward and pulling knife back and forth, manually operated. Non-slip rubber bottom stays in place and ergonomic handle is comfortable to hold. 2 stage sharpening for straight edge steel or ceramic knives/scissors. Not for serrated edges. Not dishwasher or water safe, wipe with cloth to clean and dry immediately.